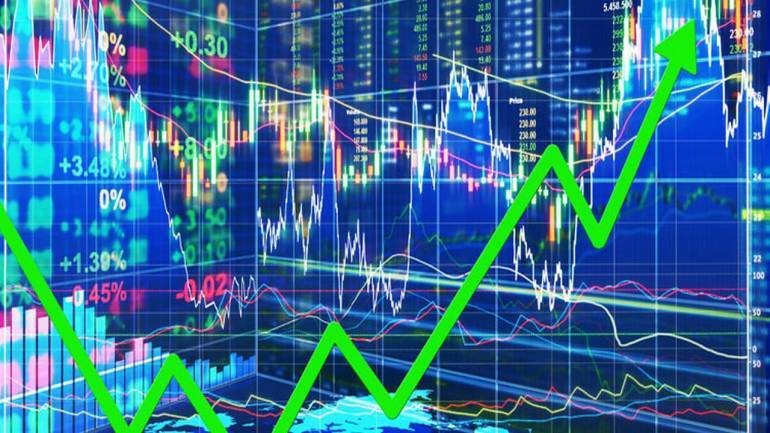 The Sensex and the Nifty have managed to hold on to the morning gains following strong global cues with the Nifty50 up 96 points, trading at 11030 while the Sensex jumped 290 points and was trading at 36906 mark. Nifty Media was the outperforming sector which jumped over 3 percent led by Zee Entertainment which zoomed 7 percent followed by Zee Media, Dish TV and Sun TV Network. From the oil & gas space, the top gainers were HPCL, Reliance Industries, ONGC and Indian Oil Corporation. Metal stocks were also buzzing with gains from Tata Steel which jumped 3 percent followed by SAIL, Jindal Steel & Power and JSW Steel. From the IT space, the top gainers were Tech Mahindra which spiked 5 percent followed by Infibeam, Mindtree, TCS, Wipro and Infosys. However, selective midcap stocks were down dragged by Apollo Tyres, Cummins India, Dewan Housing Finance, IDBI Bank, IGL, Jubilant Food and Tata Chemicals among others. The top gainers from NSE included Zee Entertainment, Tech Mahindra, Tata Steel, Grasim Industries and Bajaj Finance while the top losers included Dr Reddy’s Labs, Adani Ports, Bharti Airtel, IndusInd Bank and Titan Company. The most active stocks were Jubilant Foodworks, Reliance Infra, Tech Mahindra, Reliance Industries and Zee Entertainment. 357 stocks have hit new 52-week low on the NSE including names like Aban Offshore, Adlabs Entertainment, Andhra Bank, Andhra Cements, RCom, IL&FS Transport, Kwality, JP Associates and GVK Power among others. The breadth of the market favoured the declines with 640 stocks advancing and 1056 declining while 362 remained unchanged. On the BSE, 826 stocks advanced, 1486 declined and 126 remained unchanged.